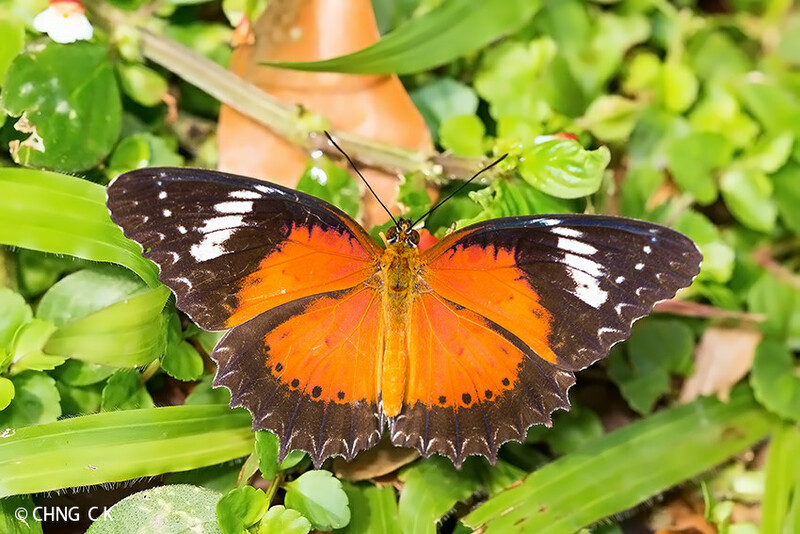 Caterpillar Local Host Plant: A plant in Passifloraceae, with species ID to be confirmed. 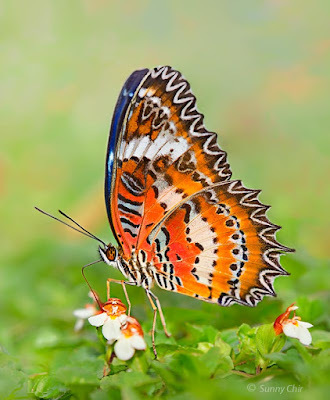 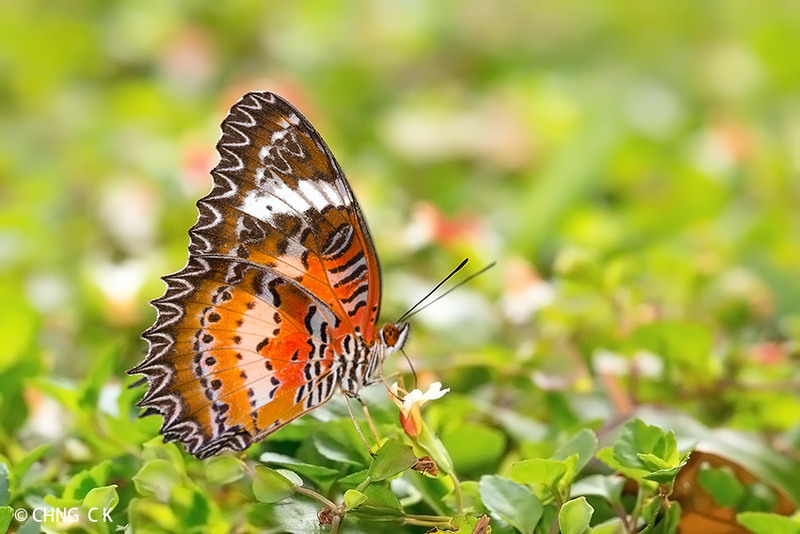 On the upperside, the forewing is black with a white subapical band (broader in the female than in the male) beyond the cell; the basal area is rich orange-red for the male and reddish brown for the female. 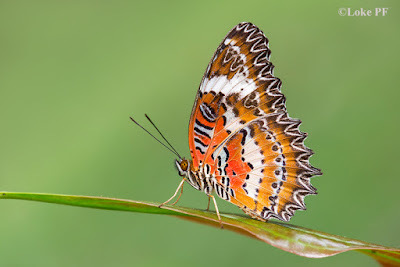 The hindwing has a black border but is mainly rich orange-red in the male and reddish brown in the female, and there is a series of black spots embedded in the distal margin of the orange-red/reddish-brown area. 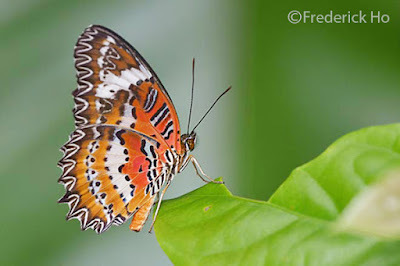 On the underside, the wings are orange-red (with reddish areas confined to the basal half) with white fasciae adorned with black spots. The forewing cell has several black-edged, pale blue transverse stripes. The wing borders are dark brown and deeply indented with lace-like pattern of white markings. The hindwing has a narrow white submarginal band in addition to the broad, white postdiscal band, both of which are bordered with a series of black spots. 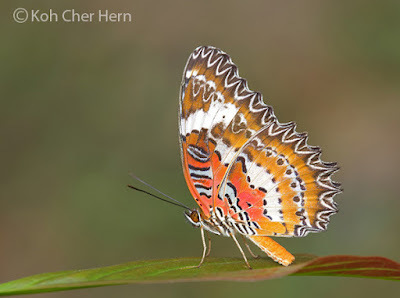 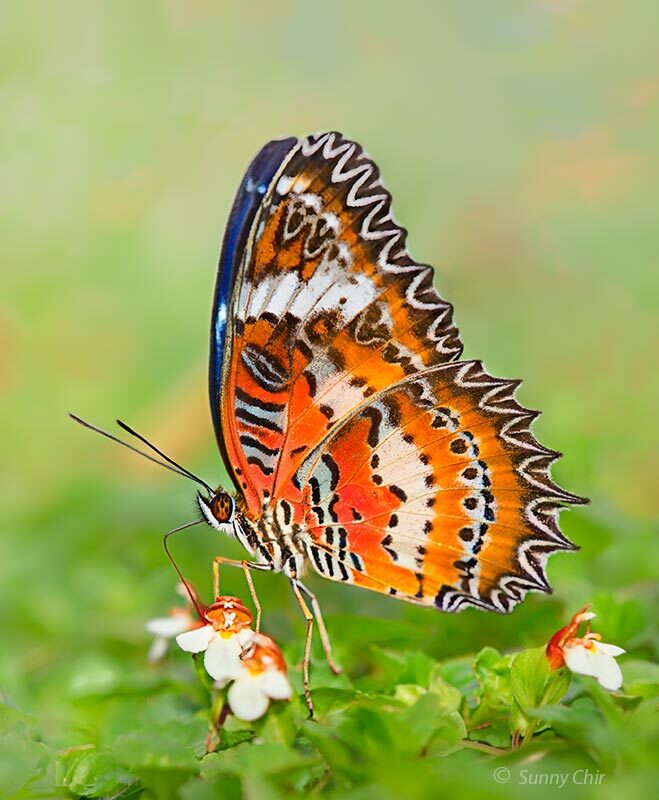 The Plain Lacewing is rarely seen in Singapore and its local occurrence is confined to a small patch of forest in the catchment reserve. Adults have been sighted visiting flowers of flowering plants in forest clearings or alongside forest trails. 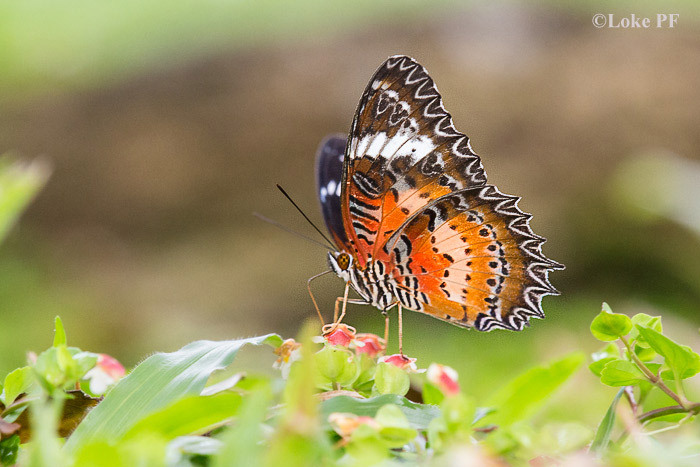 At times, females can also be seen checking out leaves of its host plant in search of an ovipositing site.